Travel through the astounding landscape around Sorrel River Ranch . You can ride trails on horseback or by 4x4. 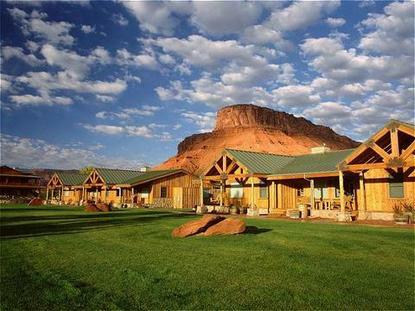 You can raft down the Colorado River, or explore the Arches National Park, or simply gasp at the awesome red cliffs. At night, the shooting stars are countless. You live in a cabin-style luxury suites with rustic wood furniture, traditional fireplaces, wooden deck porches and huge log-built beds.